A selection of photographs by Arnold Newman highlighting his most famous subjects, with special emphasis on the autographs and inscriptions dedicated to the artist. 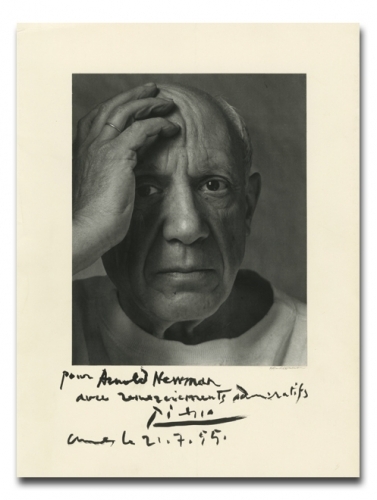 Published in conjunction with the exhibition Sitters and Signatures: Autographed Portraits by Arnold Newman in 2007. Presented by Howard Greenberg Gallery in association with Commerce Graphics. Printed by Meridian Printing, limited to 2000 copies. With an introduction by Gregory Heisler.